was added on November 4/5, 2018. In a very poor American state like Louisiana, stained by oil spills, a majority of the population votes for Republican candidates hostile to social benefits and environmental protection. Sociologist, leftist woman, Arlie Hochschild investigated this paradox. A few months later, Donald Trump won the day in Louisiana. The dream machine is out of order. Among the images of black people rooted in the spirit of the people I met, one was missing: that of a woman or a man who, like them [i.e the underprivileged white people], was just waiting for their efforts. The deep story told by whites, Christians, the elderly or the reactionaries of Louisiana nonetheless responded to a real trauma. On the one hand, the national ideal of the American dream, that is to say of progress. On the other, a growing difficulty to progress. For the "lower" population, nine out of ten Americans, the dream machine installed on the invisible side of the hill no longer works, decommissioned by automation, offshoring and the exorbitant power of multinationals over their workforce . Within this very large group, competition between whites and non-whites has become increasingly fierce - whether for employment, for a place in society or for allowances. 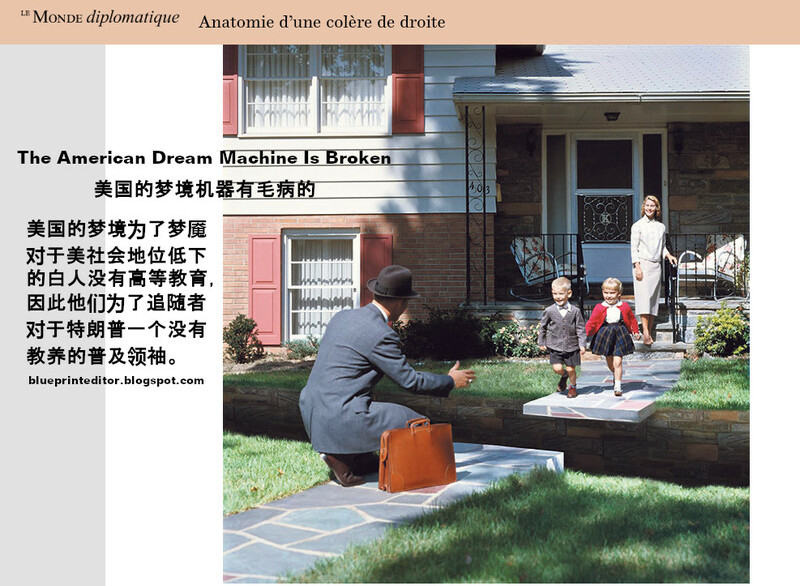 The failure of the dream machine dates back to 1950. People born before that date saw their incomes grow as they grew older. For those born later, it is the opposite. 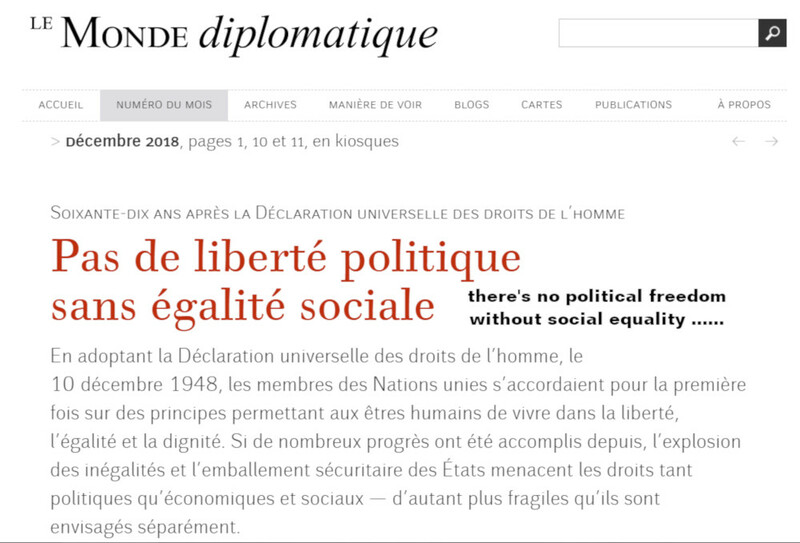 The article reprinted by "Le Monde Diplomatique" in August 2018 was originally written by Arlie Hochschild, sociologist at the University of California in Berkely. The quoted article compares different pictures of the American society taken at different moments in modern history, each of them describing the prevailing way of social identification within a certain group of the American workforce. Such pictures reflect a continuous loss of speed in the economic and social progress for an essential part of the white population until that progress finally stopped to give way to a continuous deterioration of life conditions. Simultaneously, all hope for a decent life has melted away from one generation to the next. In other words, the American Dream Machine has come to a grinding halt for the underprivileged members of America's working class who lack a higher education and, as a result, lost any chance to improve their situation, those who now see themselves being overtaken by all kinds of "free riders", i.e. coloured shooting stars like Obama and his clan, Latino immigrants or the gay who are now competing with the traditional model of a heterosexual family. 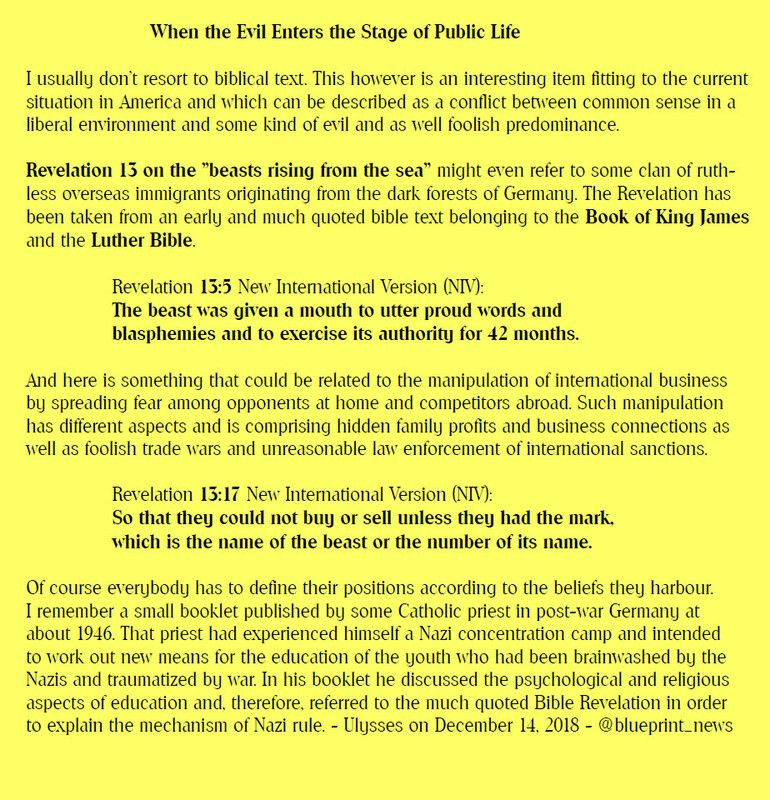 Now, this underprivileged group has found their Messiah in a rough and uneducated man who seems to be one of them as he addresses their problems in a rude manner that each of his followers would have liked to copy but never dared. 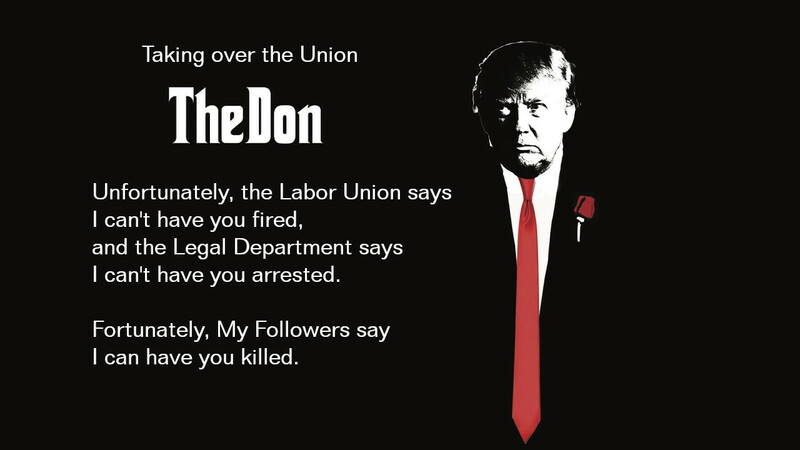 This man, named Donald Trump, is attracting his followers even more by his posture as an extremely successful businessman who never lost his common sense, such presenting himself as an ideal leader of the chanceless and underprivileged "true" Americans and, therefore, as a personified symbol for the American Dream. This, however, is a fake. In fact, Donald Trump was born with a golden spoon in his mouth and which made him immune against the challenges of earning his living with some hard work while competing with others who might be more talented. All he needs to ensure his well-being is to care that his father's money is not too fast melted away by whatever foolish enterprise he might have in mind. Unable to compete with more successful members of the "millionaire class" because of his lack of education and/or experience in the real struggle for economic survival, he remains a loser within his own class of the American society, - a man you are now being asked to support in the midterm elections where so much is at stake for your country. 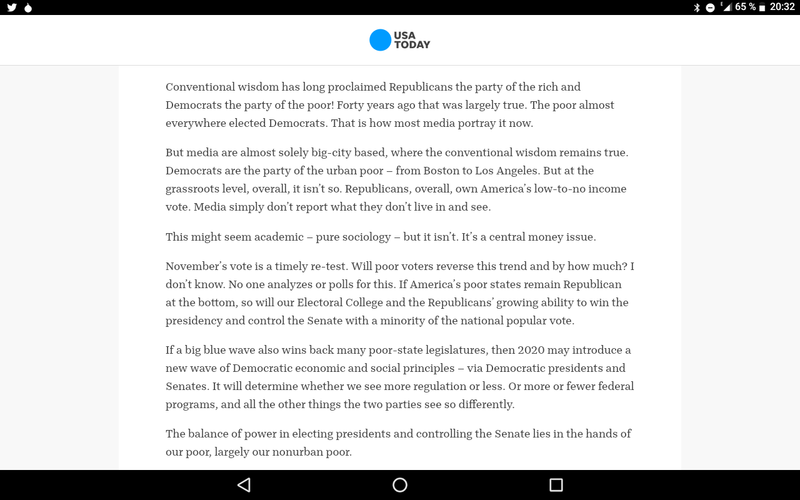 In their article published on October 22, 2018, "USA Today" came to the estimation that poorest federal states have Republican legislatures and richest have Democratic ones and which is to be seen as the result of a historic development. Such development already began decades ago when just the contrary was true. Seen in the frame of the above quoted evaluation by a Berkeley sociologist, it seems that political orientation never changed while degradation of life was taking place for the white majority, and the idea of the American Dream turned from a realistic personal challenge into a far distant "sugar candy mountain". 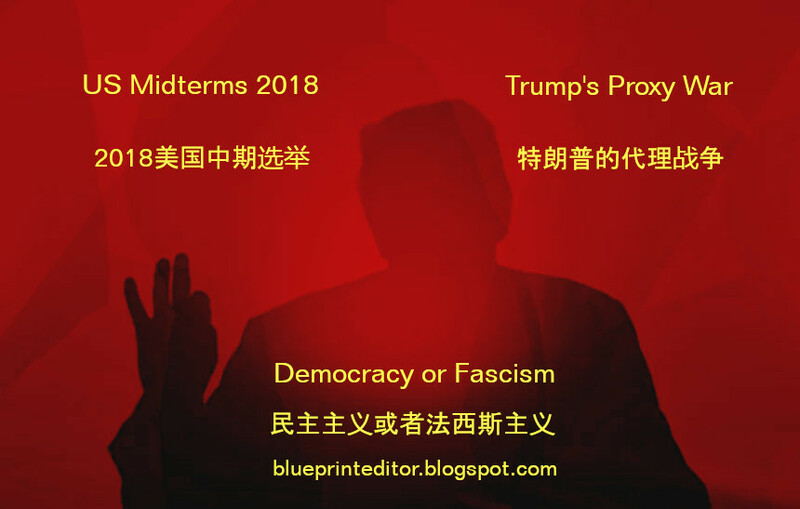 In addition, a changing demography brought about the increasing influence of national minorities who are now claiming their right to vote, thus endangering the local political establishment with their tendency to vote for a Democratic legislature. 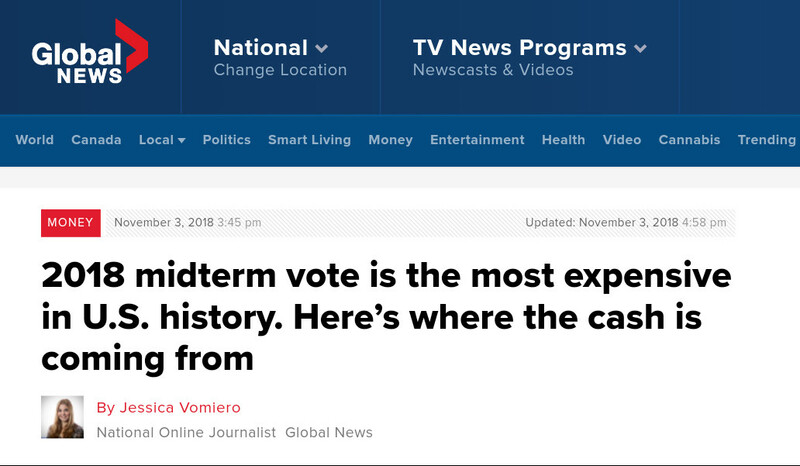 That seems to be why local Republican authorities are trying to do their best to purge colored citizens from election rolls, a fact that surfaced, once again, in the 2018 midterms and is being reported by international media [i.e. 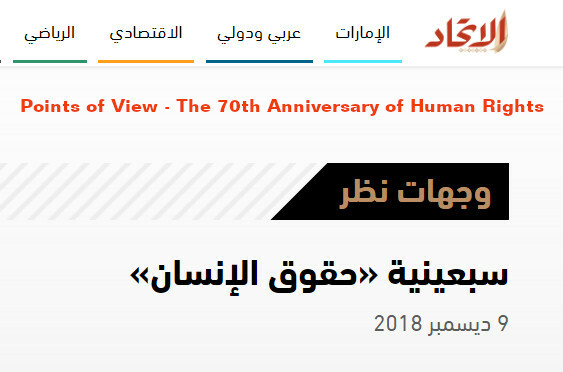 Al-Jazeera on November 5]. 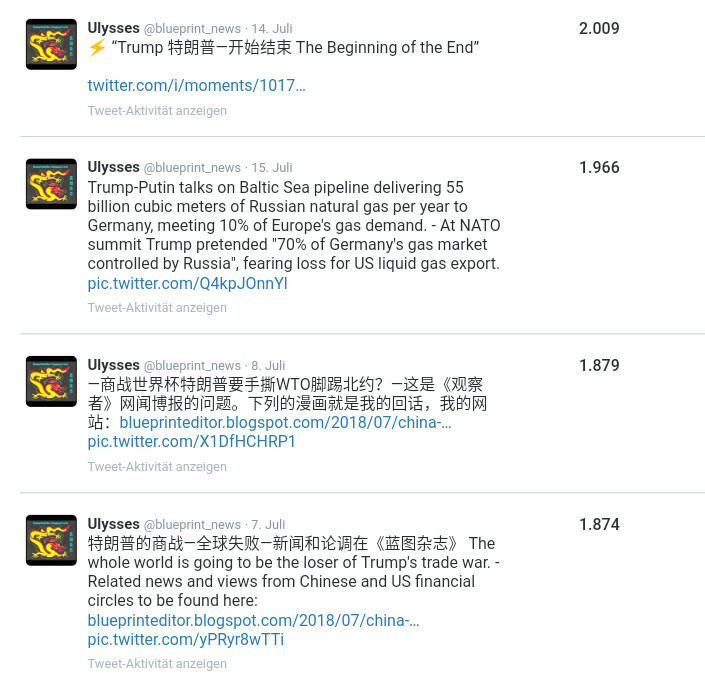 Here are some top tweets of mine dealing with US president Donald Trump. An update for latest Twitter Analytics Data was included on November 4, proving that most visitor impressions shown below are still on the rise ! the killer and the person who poisoned his brain ? You tell me ! news and referring to what Donald Trump told a reporter the day before. 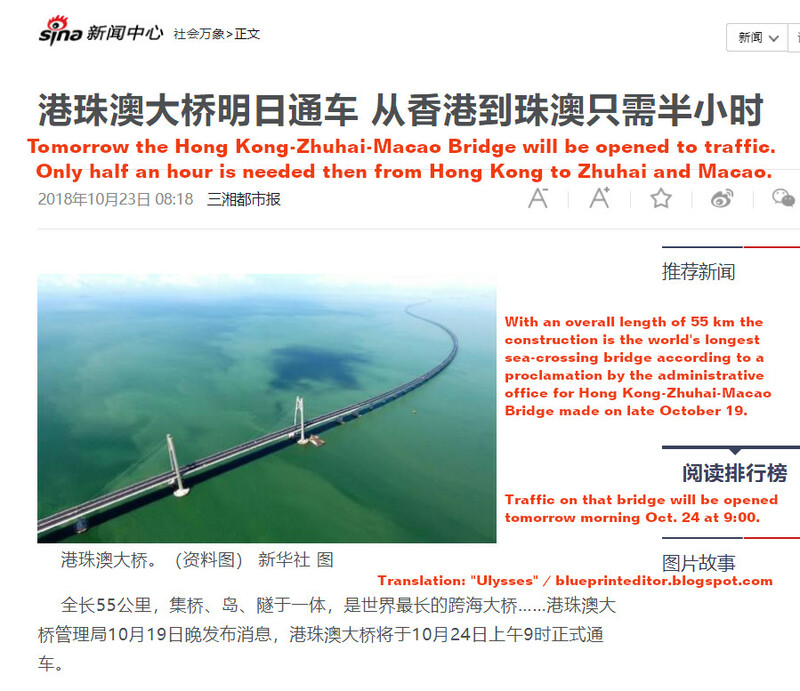 for the Hong Kong-Zhuhai-Macao Bridge project. Hong Kong citizens celebrating the opening of the new connection with Macao and Zhuhai. 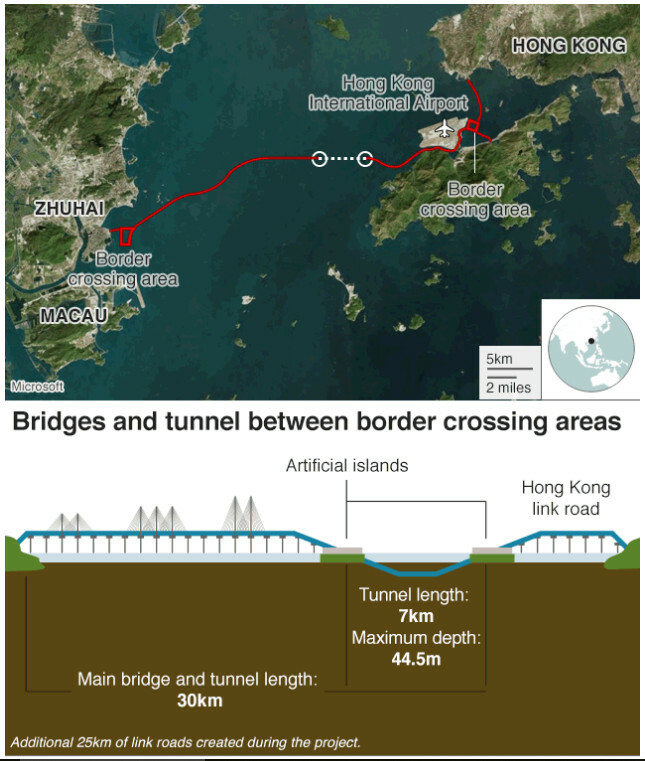 Traffic being restricted on this sea bridge, most Chinese have to use regular bus services. 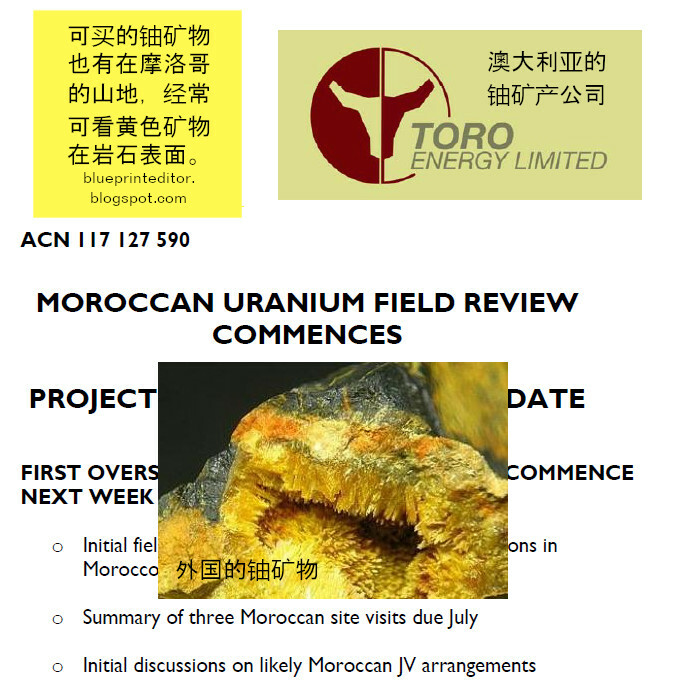 10 Mega Projects in China by 2018. 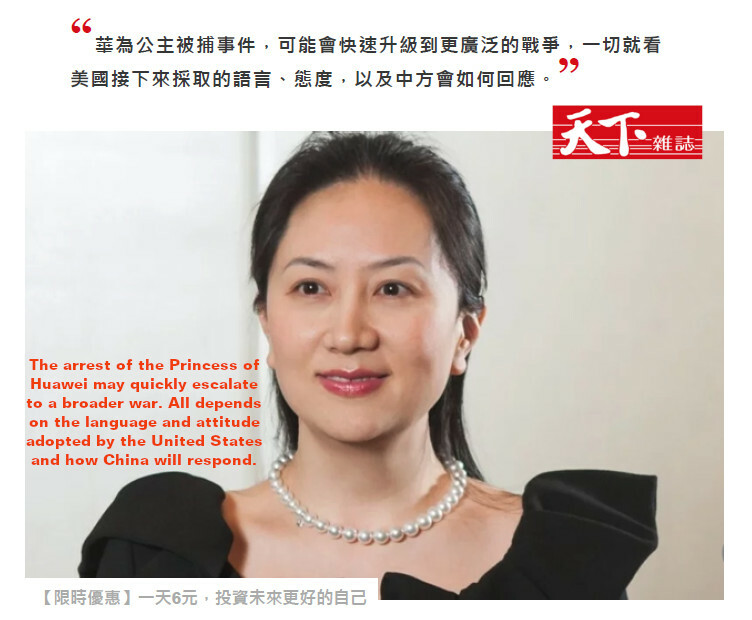 In the frame of Sino-US relations rapidly getting worse, here comes another bad joke from Washington DC. 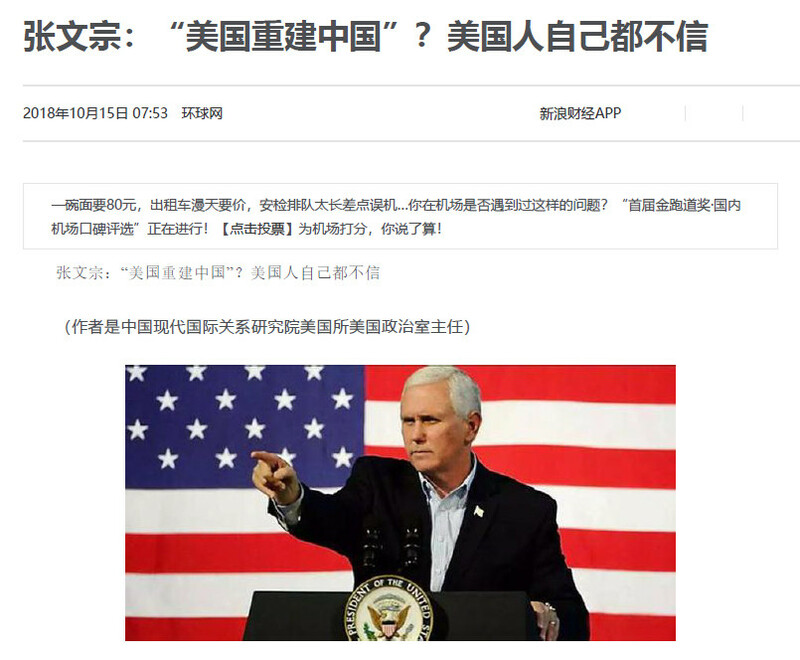 Only recently, in a speech held at the Hudson Institute, US vice-president Mike Pence told the world that " America is rebuilding China ". 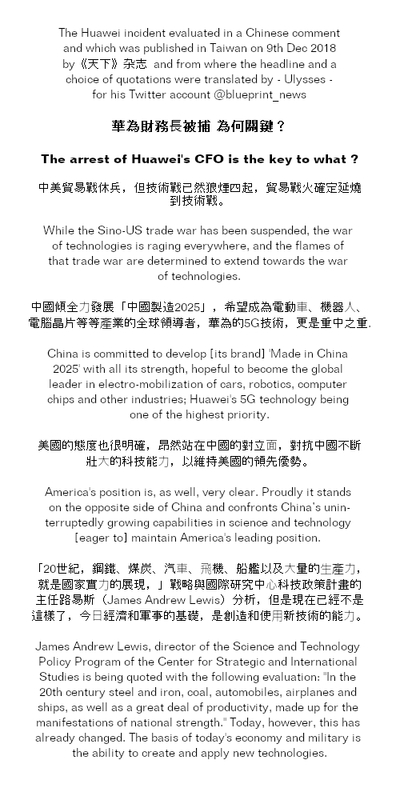 Anybody gifted with some common sense and who has a basic knowledge about China's history could imagine such US ambitions as being far from realistic. 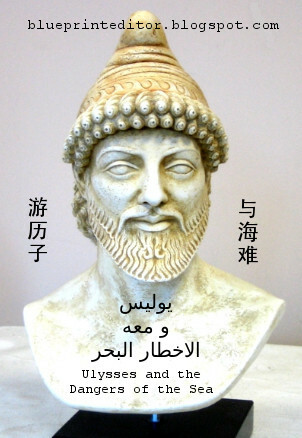 Even though some bad habits of early capitalism already swapped into China since the times of Deng Xiao Ping and which could be classified as America's "cultural contribution" to China's development, the Chinese people are generally reputed for their affinity to hard work and their efficiency while doing business, as long as they are not hampered by any state doctrine or law. 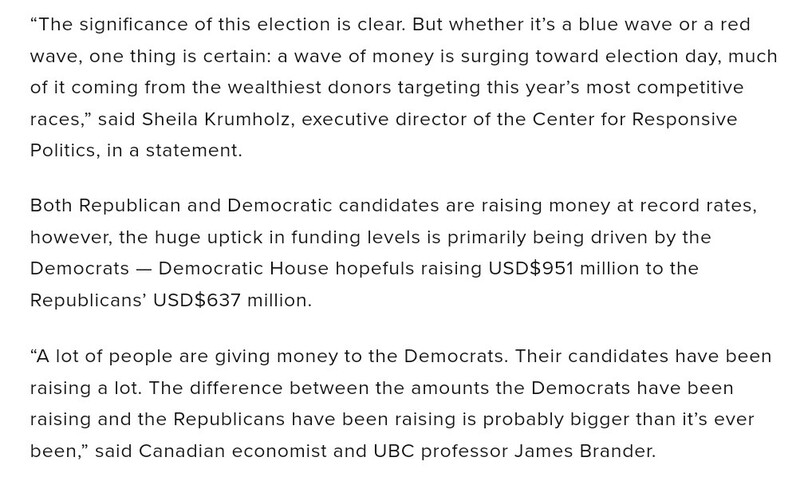 The idea of America rebuilding China therefore remains mere wishful thinking.
" 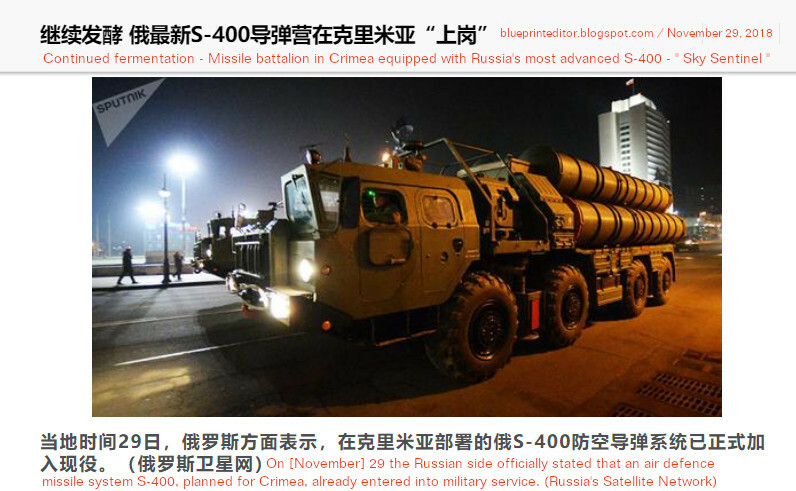 The Chinese make it with their engineers, the Americans with their lawyers. " 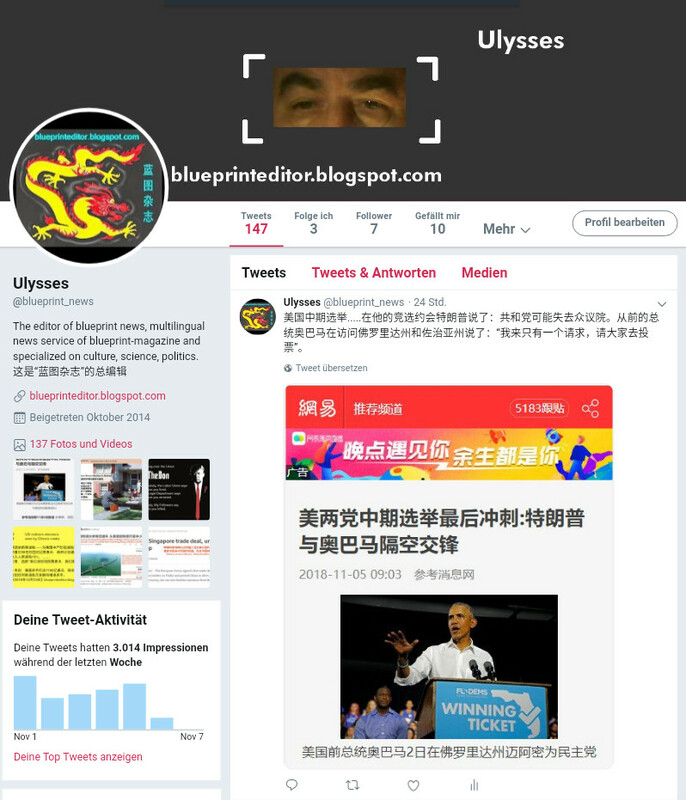 Zhang WenZong: " America rebuilding China " ? The Americans themselves don't believe it. Affairs at the China Institute of Modern International Relations. "Rebuilding" is often associated with a fast revival of economy after a war. While reconstruction after America's Civil War relied on the Americans themselves, the economic reconstruction of Europe and Japan after World War II could not be separated from the help of the United States, and which is generally consistent with historical facts. During the past ten years (and even longer), the United States have launched and participated in several wars, following each other in South Asia, the Middle East and North Africa. However, [the US] have not been able up to now to help Afghanistan, Iraq and Libya, when ridden by the flames of war and unrest, to complete post-war reconstruction. [The US] even more officially abandoned their goal of reconstruction. 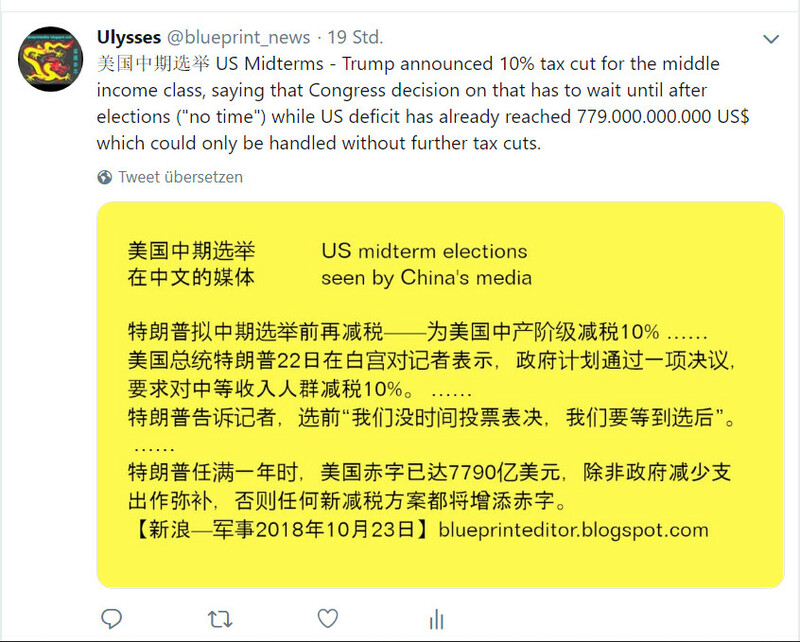 The United States are [therefore obviously] unable to "rebuild" a country of only some ten million inhabitants, let alone China with its around one billion inhabitants. 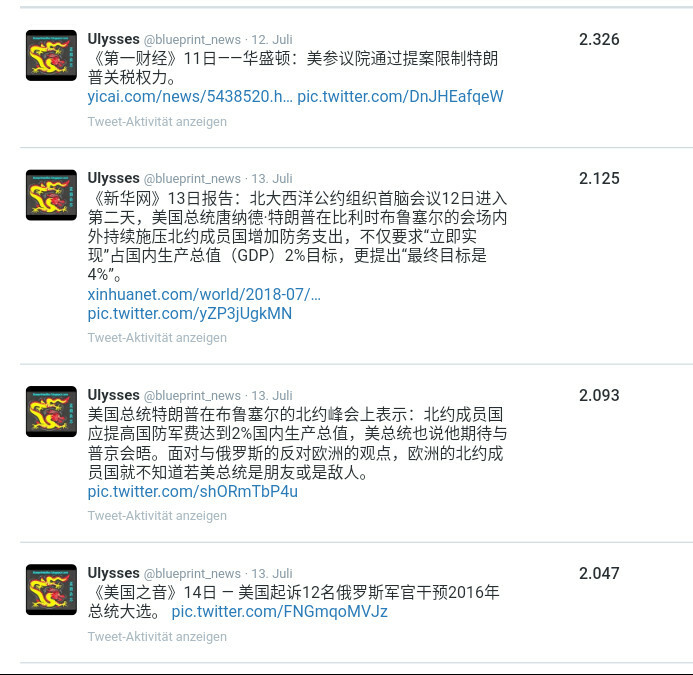 To speak of "rebuilding China" [therefore] means making big words without shame out of an over-estimation of oneself. 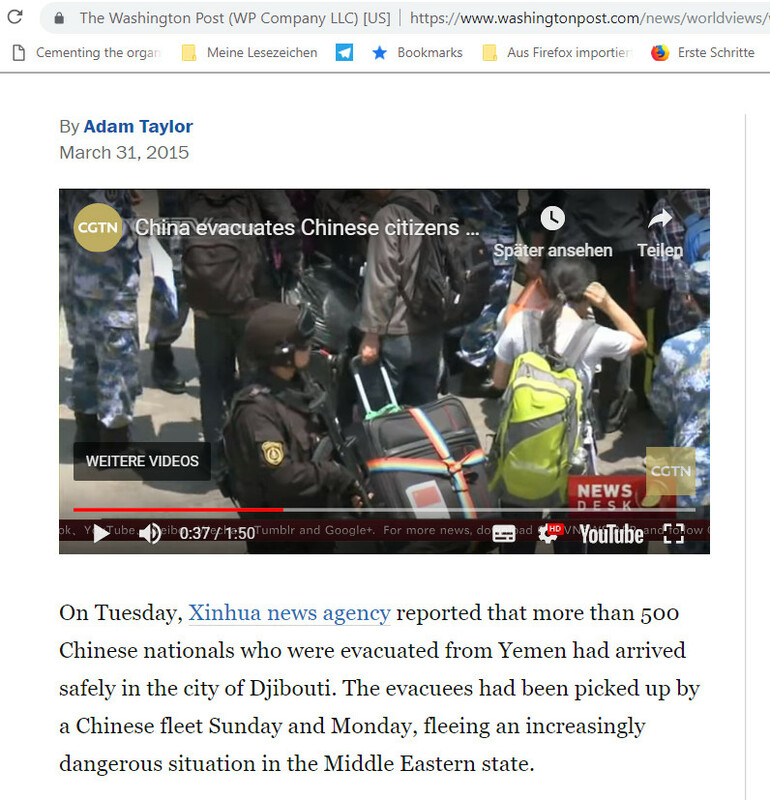 "Rebuilding China" ? America's exaggerated self-confidence. 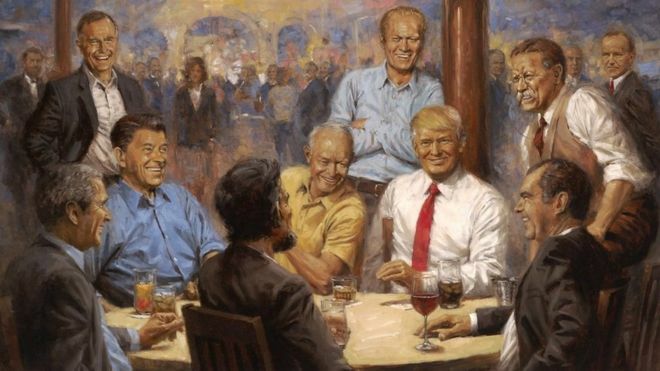 showing Donald Trump in a meeting with former US presidents. 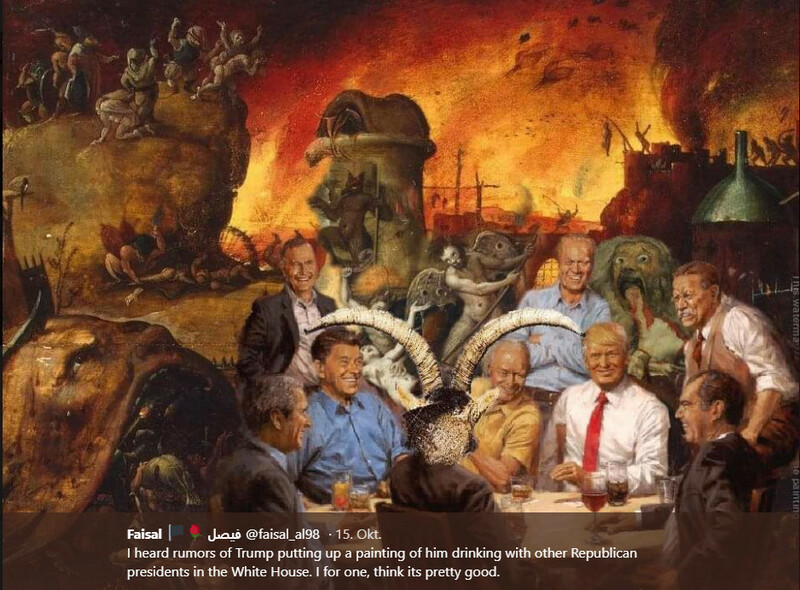 A masterpiece of post-modern realism ! Chicago visitor to "blueprint news" reminding of Donald Trump's pecularity of calling names. 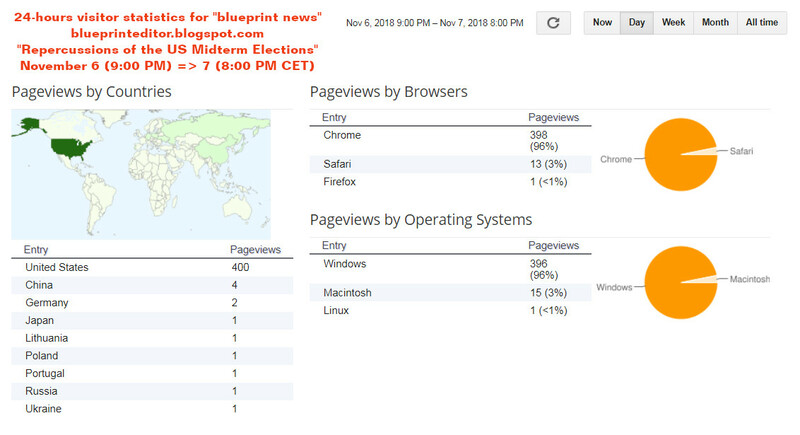 Separate visitor statistics are available for another and much older website of mine where an entry into "blueprint news" was created on the main page from the very beginning of that news blog. 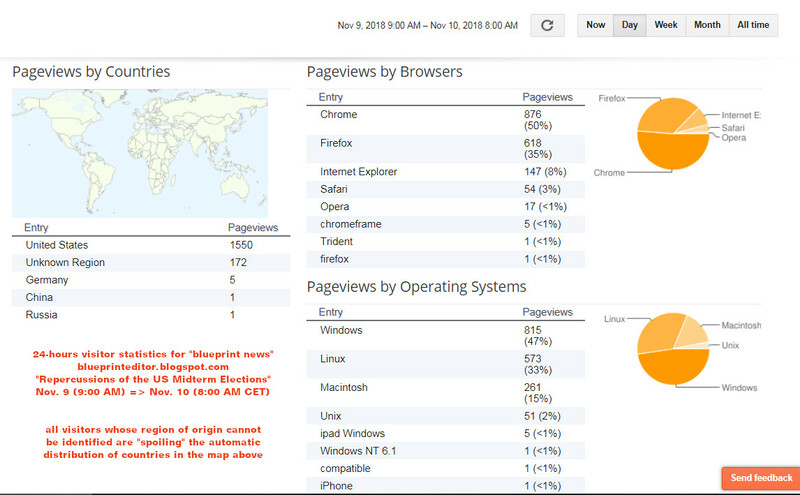 Such statistics are far more professional than those offered for free by the blog provider of "blueprint news". 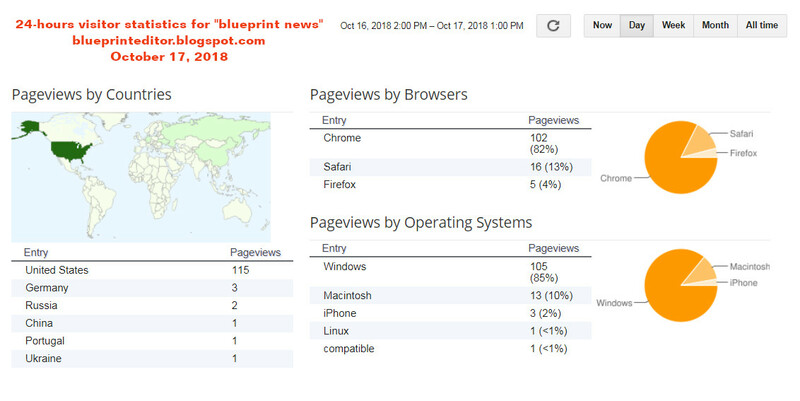 As visitors to that older site can be expected to enter the latest posts on "blueprint news" rather than any old stuff already published years ago, the statistics for that access page might serve as an additional indicator who is really visiting "blueprint news". 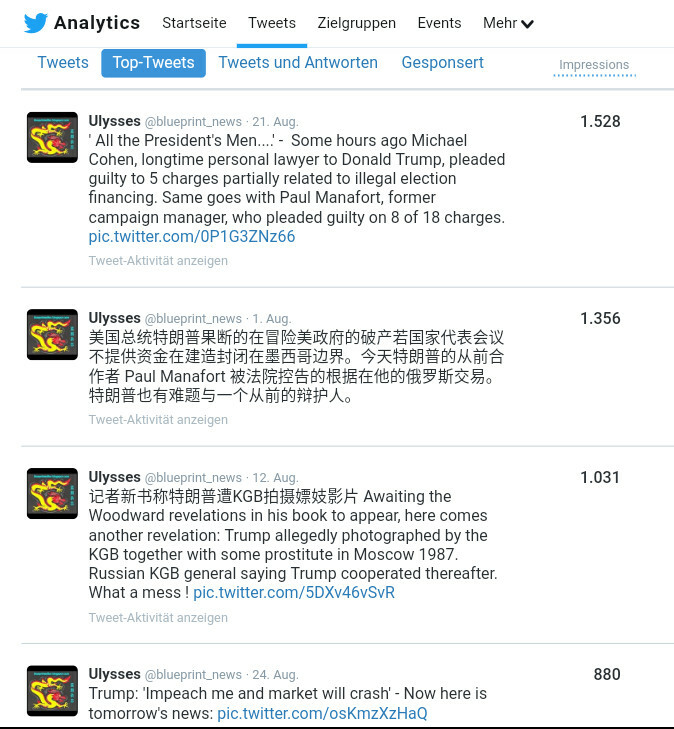 Between October 1st and October 17, 2018, such additional statistics still recorded some thousand hits, many coming from Russian servers like *.ru and *.su (for the former Soviet Union and still existing !) 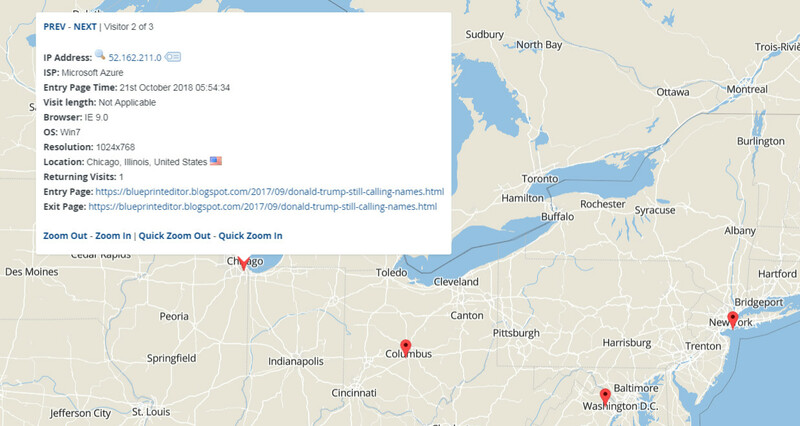 and from the USA as well (28 hits alone from Washington servers including one from Capitol Heights). 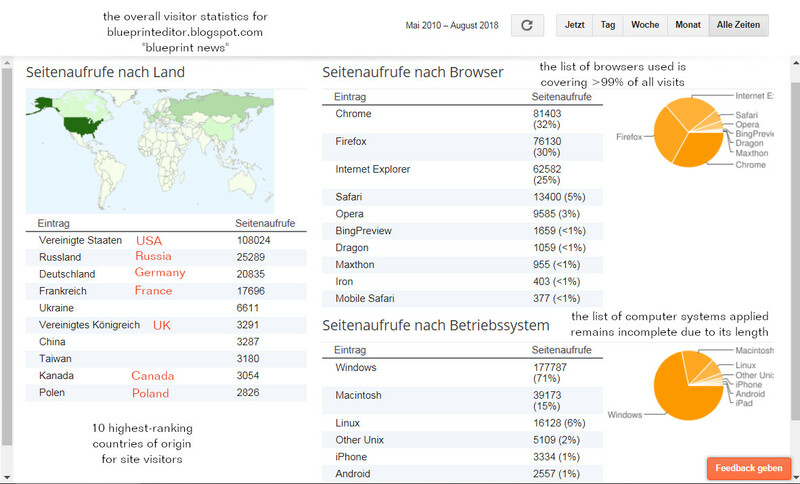 Visitors from China came about with several hundred page hits in the same period of time. 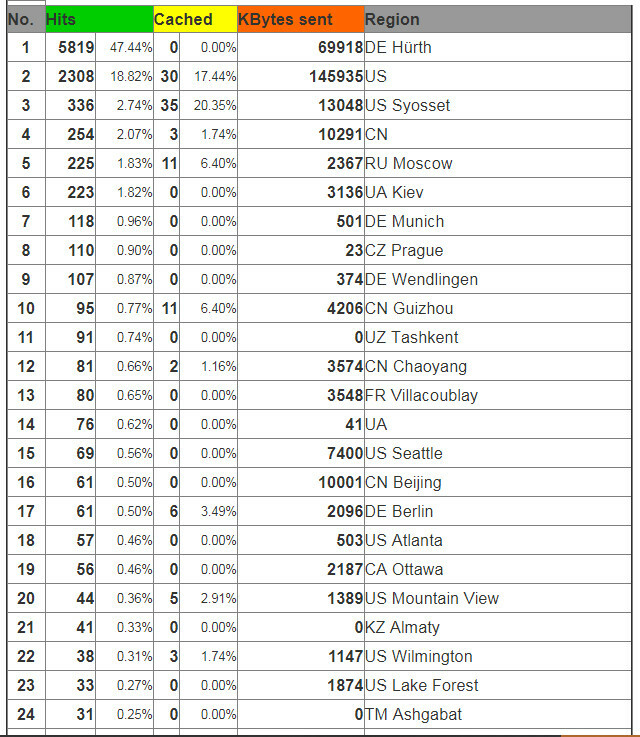 Chinese server access was detected from 15 destinations like Beijing, Chaoyang, Guizhou, Harbin, Shanghai, and Wuhan, delivering a total of 546 page hits. 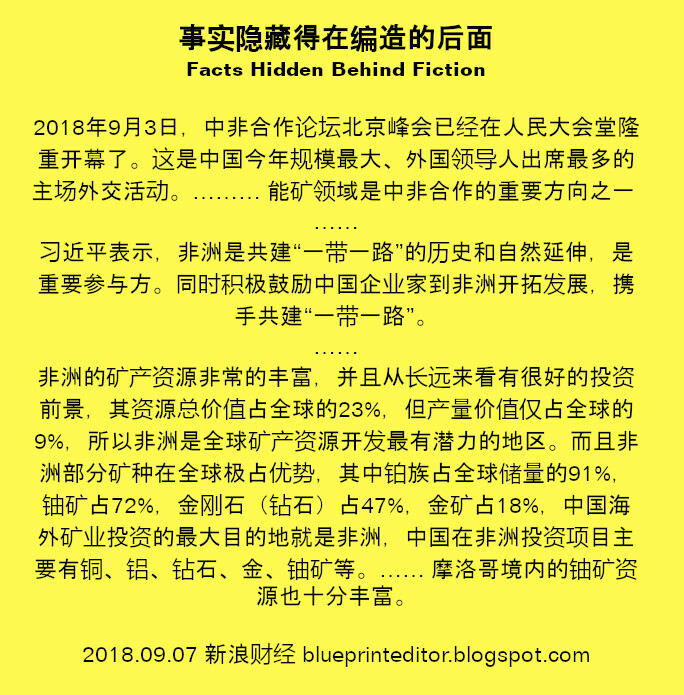 New national laws on the protection of private data and an increasing trend among internet users to anonymize their appearance on the web make it steadily harder to detect the origin of visitors. 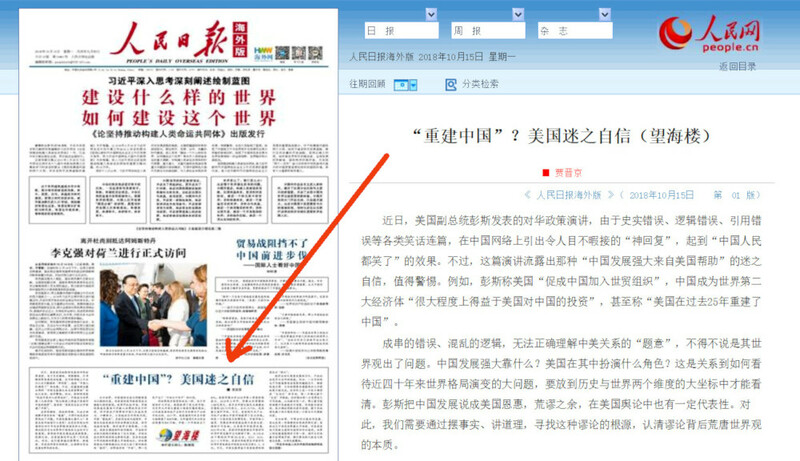 As such detection is only intended to present the variety of visitors to "blueprint news" without getting too personal and without financial interest, anonymization can lead to the simple result that I lose interest in the translation of high-quality news and comments from Chinese and Arabic sources, and this would mean a loss of diversity on the web. 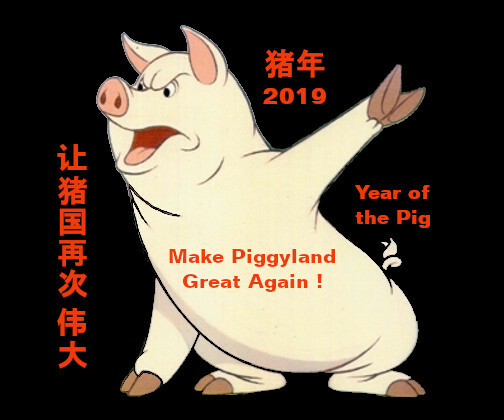 In February 2018 a brandnew Chinese language blockbuster was released by film director Dante Lam. 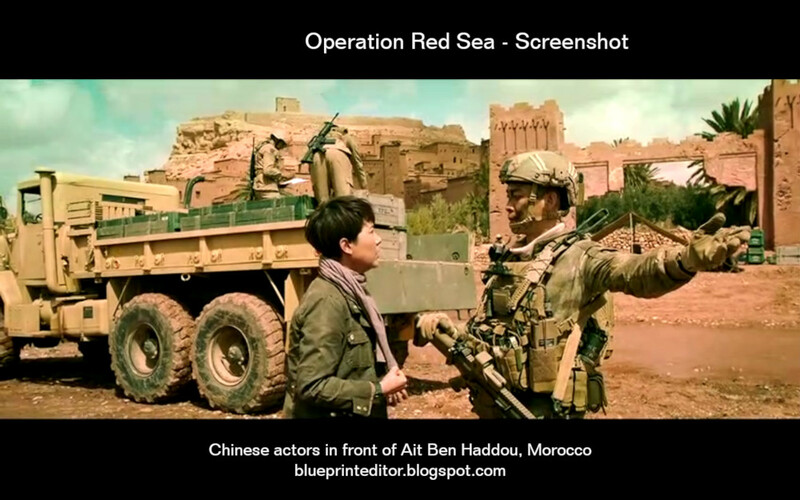 The plot of "Operation Red Sea" is essentially based on a military coup staged in some fictive North-African country and which leads to the need to evacuate Chinese citizens together with some other foreigners who are now endangered by militant Islamic terrorists decided to drive the world into chaos with a dirty bomb. 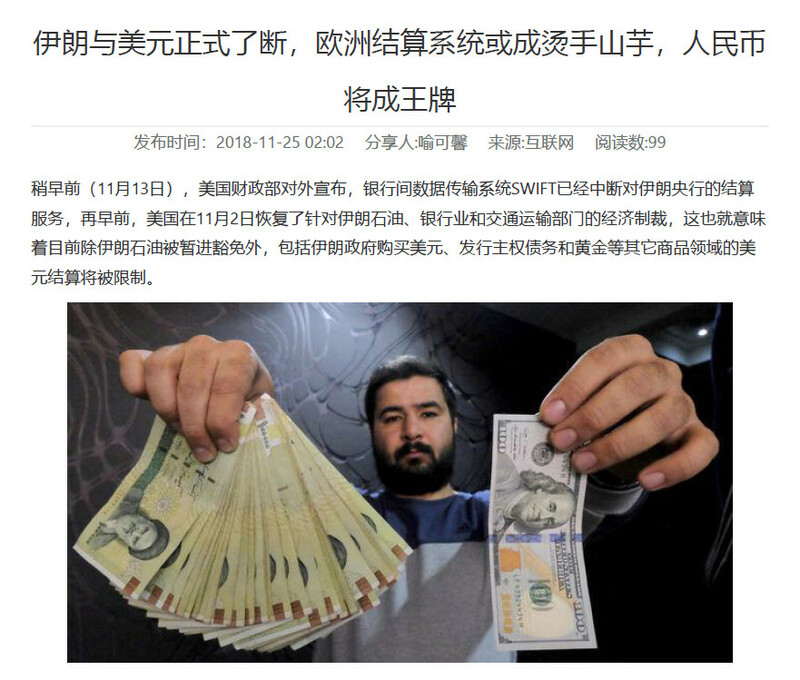 The radioactive product needed for the bomb should be provided by the responsible person of some globally connected mining company and who has fallen into the hands of the terrorists. 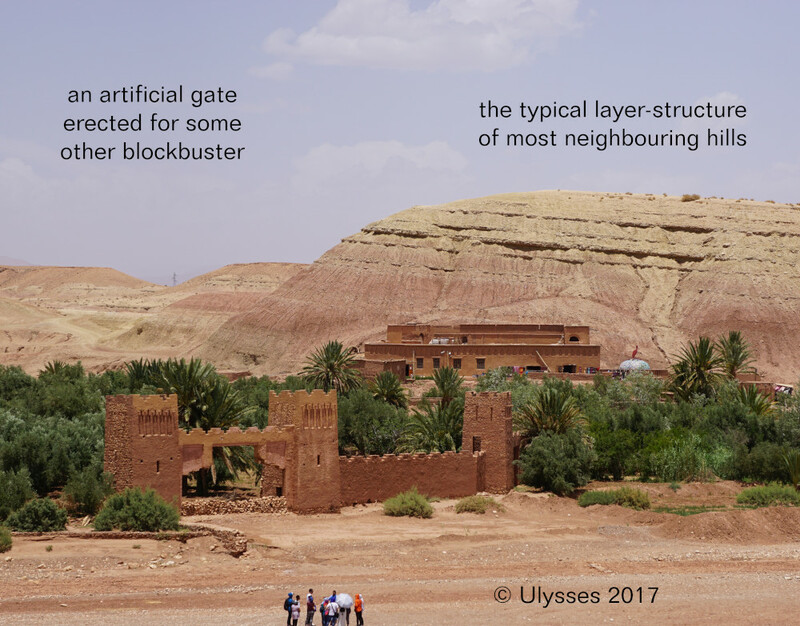 Some key scenes were taken at Ait Ben Haddou, Morocco. 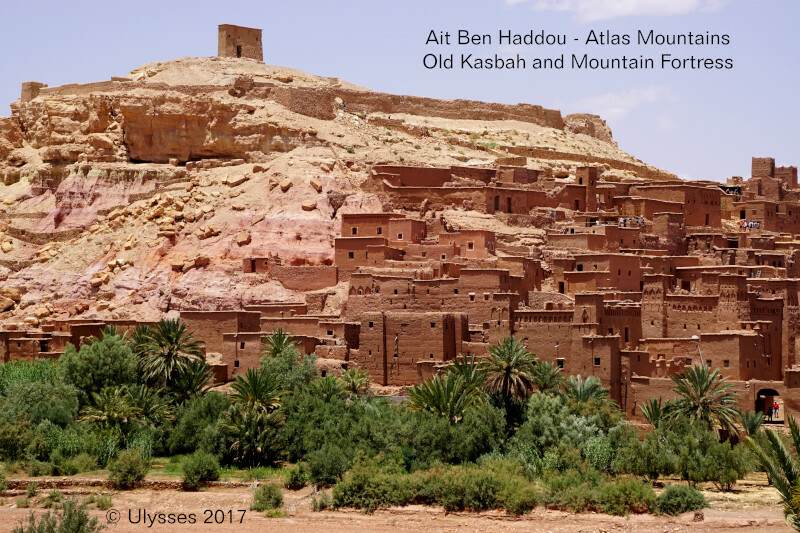 As I happened to visit that location only some months before, I am able to provide pictures of the original place, an ancient fortified Kasbah that was erected at a place where the Atlas mountains open into the desert. 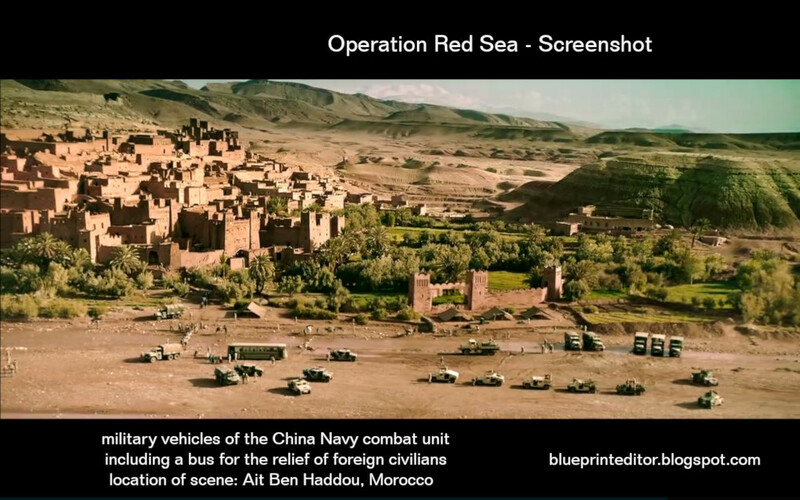 While the Kasbah and the mountain fortress are original, the gate to be seen in the movie is a fake. It was built to serve as the background for another blockbuster movie. Temperatures in 2017 were unusually high in that area, i.e. surpassing 40°C in September, and should have been still around 30°C in autumn. When I crossed the dried up valley and climbed to the upper terrace of the Kasbah, it came to my mind that acting in a film right in font of this site must be a murderous job. 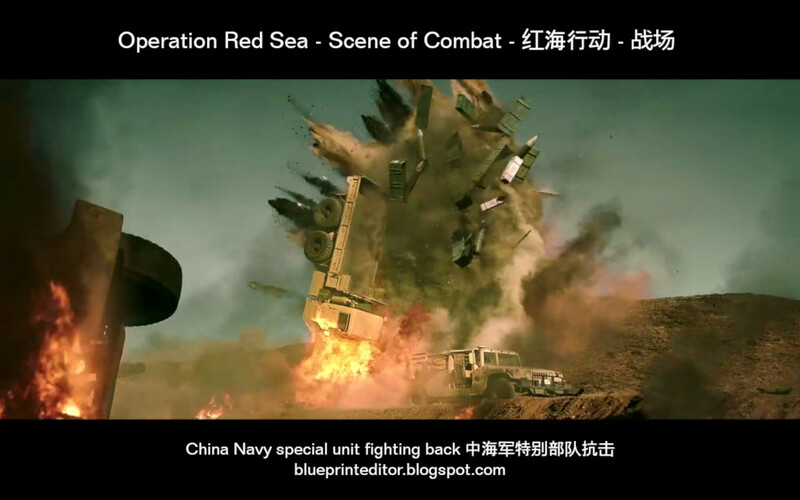 Even more, acting in full combat gear would add to the hardships, let alone the need to undergo some basic weapons training before the compulsory combat stunts while acting under the merciless desert sun. No wonder that one of the female stars was wounded twice during some especially rough scenes. The Chinese involved must therefore be a tough species. 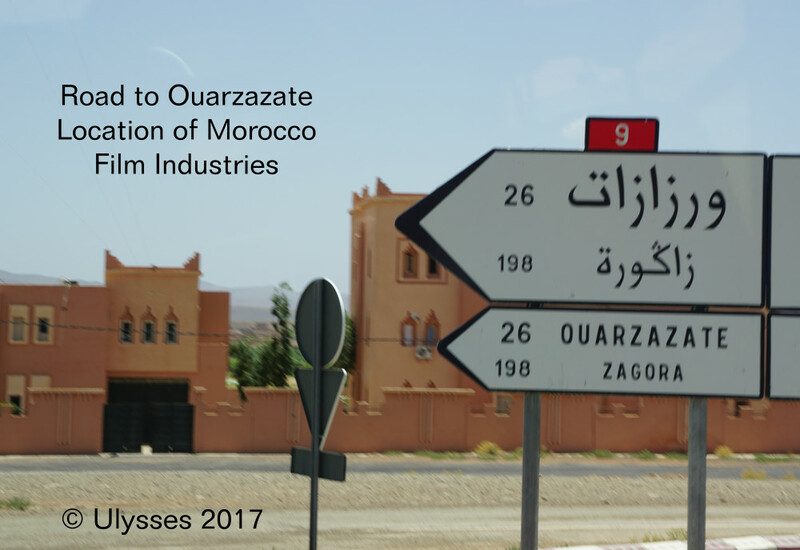 For the necessary infrastructure of filming there are studios at Ouarzazate, only some miles away. 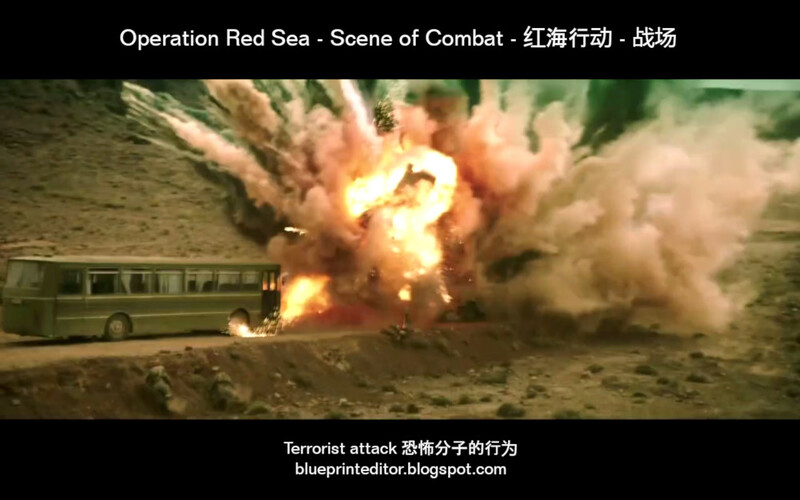 Special Effects applied in Operation Red Sea. 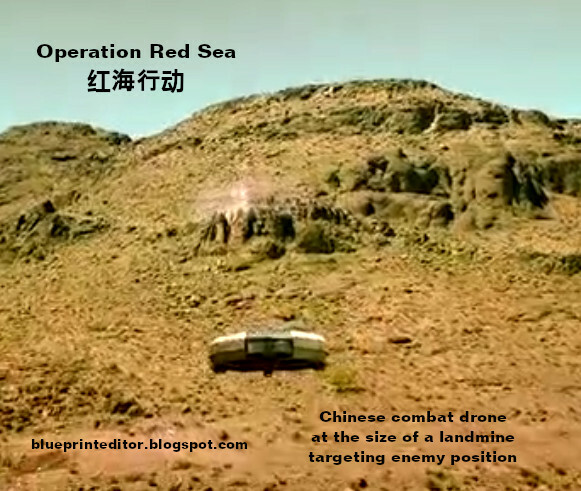 The final sequence of Operation Red Sea might nourish some second thoughts about Chinese imperialism regarding the South China Sea problem. In fact, it's nothing more than what we got used from similar US productions in the blood and honor style. A call of patriotism wrapped into a gripping plot and enhanced with many special effects. Still worth to be watched even if you don't agree with the Chinese, however, up to now only available in the original Chinese version with English subtitles. 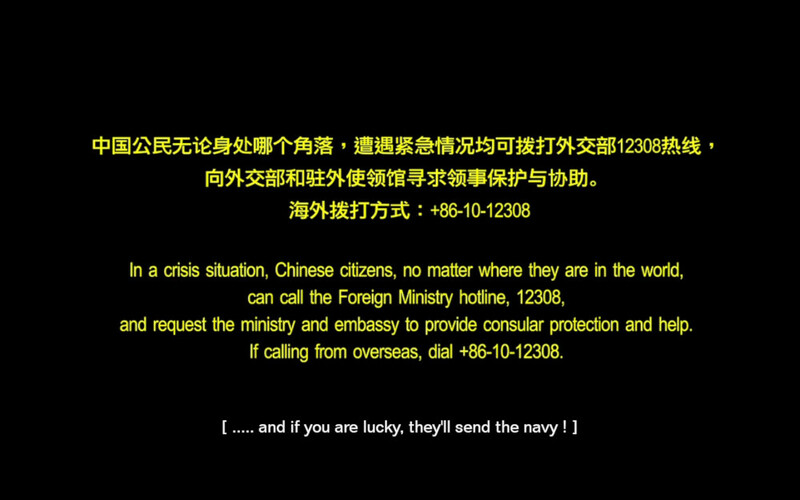 Historic rescue operation realized by China's navy in 2015. 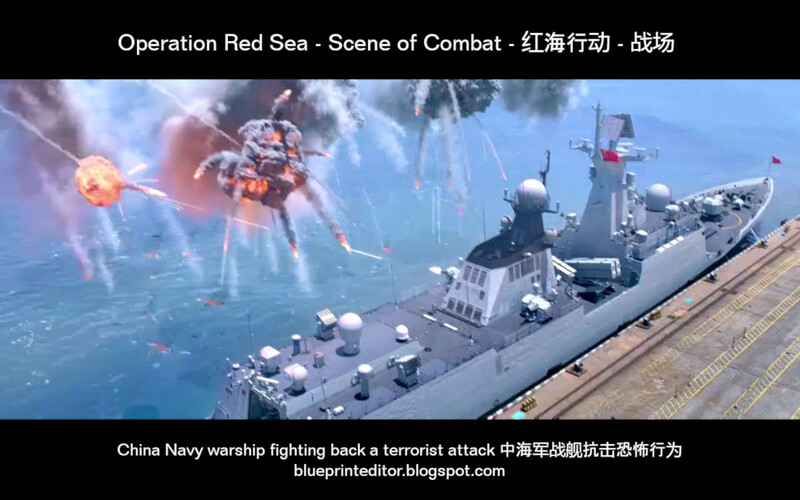 Operation Red Sea is being presented to Chinese audiences as a gift for the 90th anniversary of the People's Liberation Army PLA and is dedicated to the 19th National Congress of China's Communist Party. 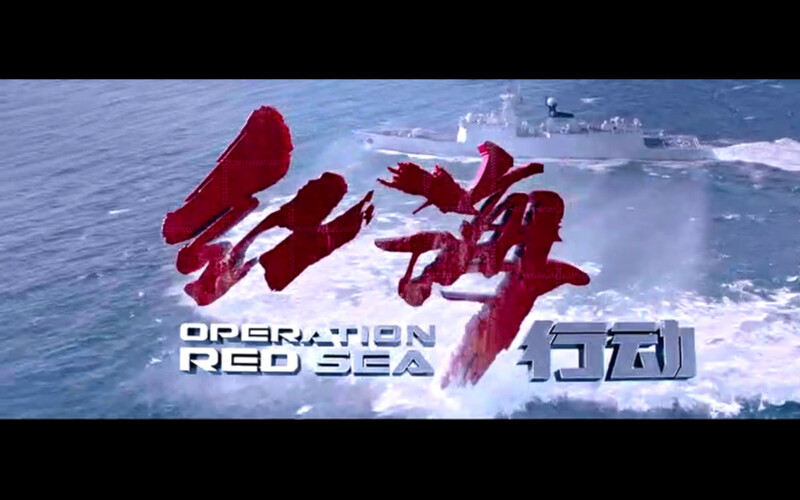 This film is regarded as China's first modern naval film. The film has already become a 579 million US$ success. 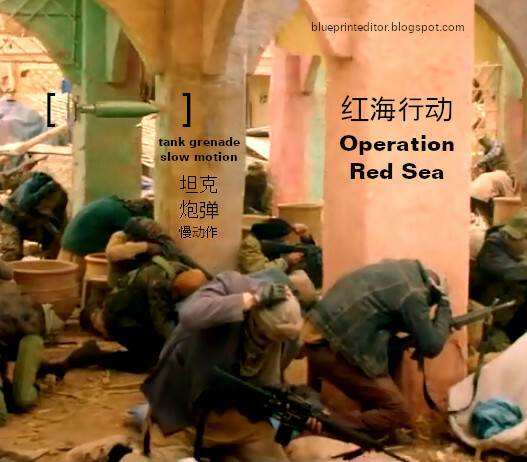 It was selected as the Hong Kong entry for the Best Foreign Language Film at the 91st Academy Awards. 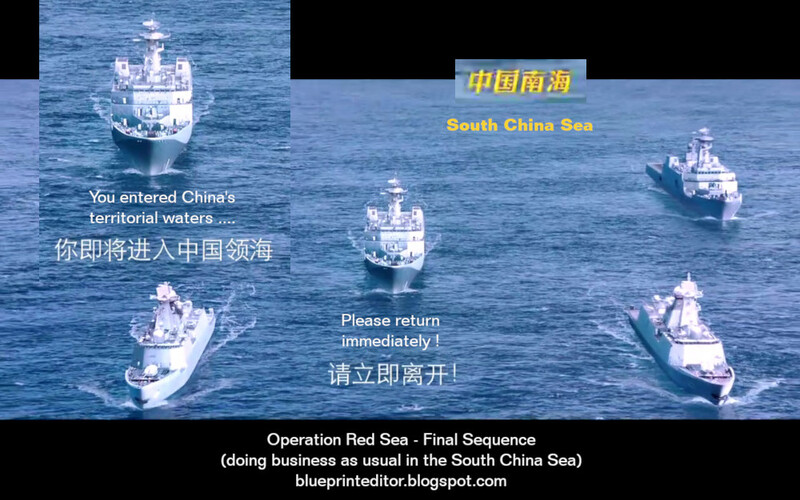 a rare insight into China's South China Sea activities. Tensions between the United States and China have been rising, but the worst may be ahead. 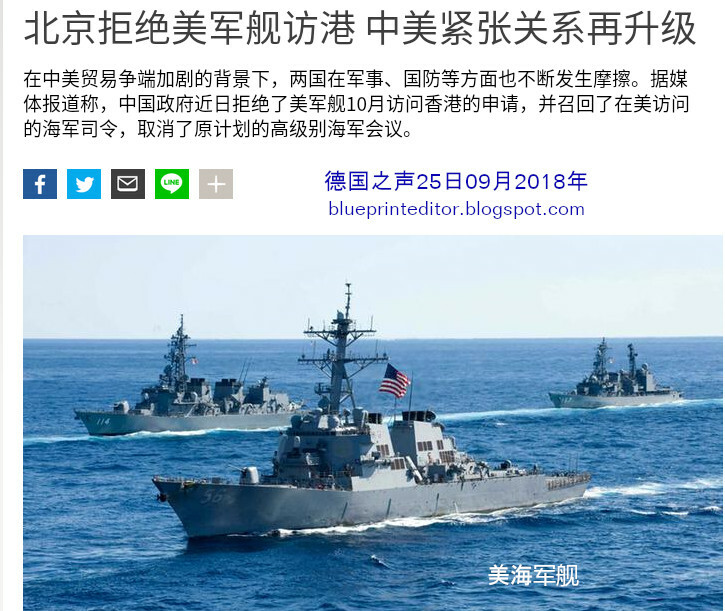 This, on the heels of new tariffs and an “unsafe” military confrontation in the South China Sea. 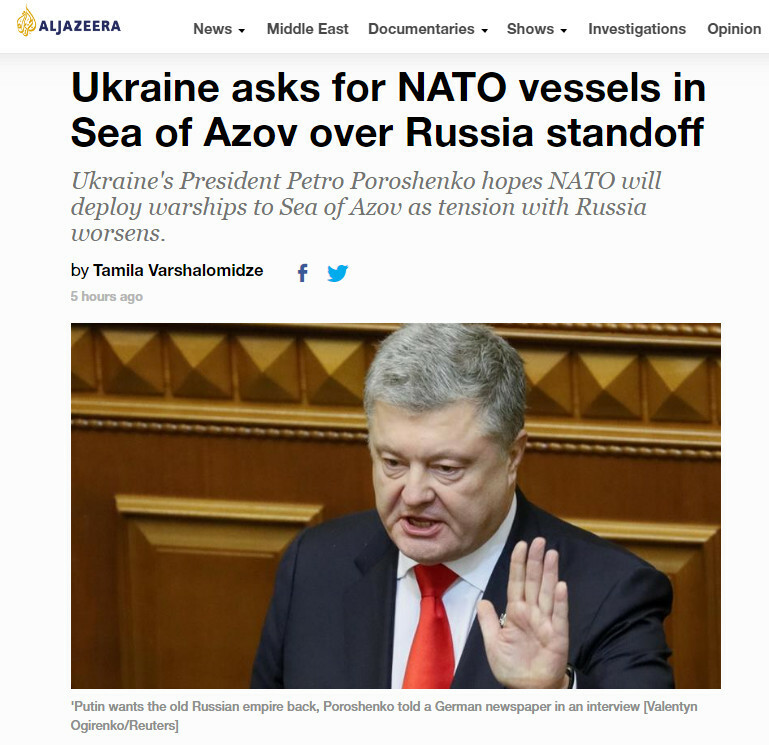 But Thursday’s revelations provide the first public evidence of extensive interference in both civilian and military supply chains. 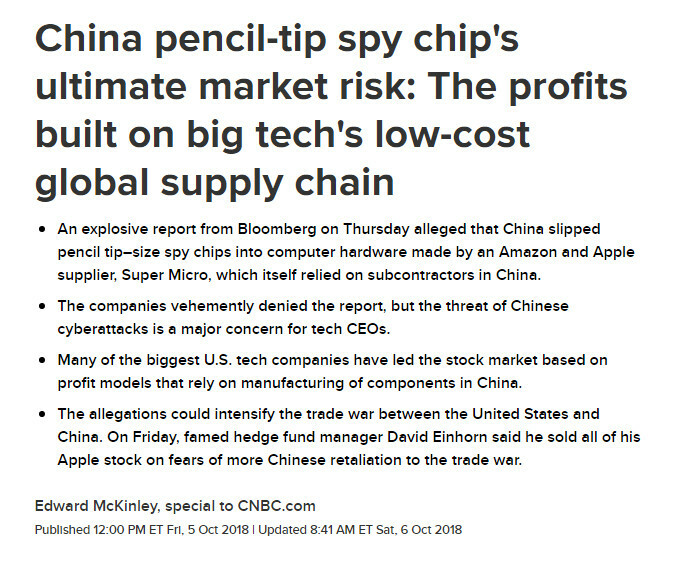 The Chinese military allegedly inserted tiny microchips onto motherboards manufactured in China for Super Micro Computer Inc., based in San Jose, Calif. These chips were designed to evade detection and to create a backdoor for entry into sensitive systems. According to reports, thousands of motherboards were sent to 30 separate companies and the US government, where they were used by organizations ranging from Apple and Amazon to the Defense Department. The Risks of " Buying Cheap ". and already surpassed the US in terms of GDP in 2014.